Do you think people are catching on that Disney is creatively bankrupt. Is Eva Green Tim Burton new muse? Will they make an animation version of this? Any Tim Burton fans going? Burton just the wrong director for this story? Why is the color so ugly? What demographic is this film aimed at? 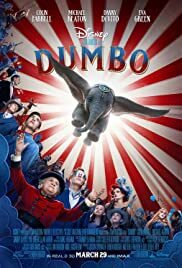 What happens to all the feathers that Dumbo inhales?